There are plenty of reasons to make your own baby food. It saves money. It lets you choose what your baby eats, and find new foods for him or her to enjoy. It’s also a very green, earth-friendly thing to do given the amount of plastic, glass, and metal that goes into packaging commercial baby foods.The baby food grinder, also called a baby food mill, is the central part of a baby food making operation. 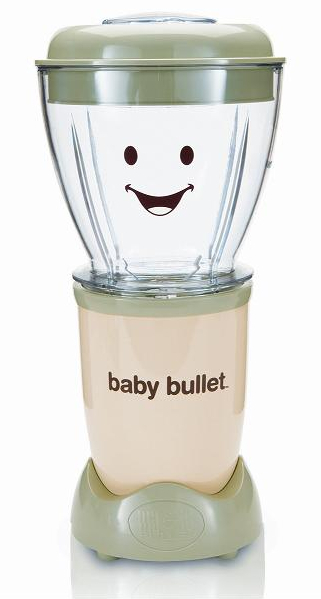 You’ve probably heard of the Baby Bullet (at right; a grinder made famous on TV), but there are many to choose from. Which grinder is best? We looked through a dozen models, and chose the three that we like best. Here are their reviews. The Beaba Babycook baby food maker is an all-in-one, compact countertop appliance for making baby food. It combines a baby food grinder with a food steamer, bottle warmer, and defroster to let you prepare fresh, healthy food for your baby. 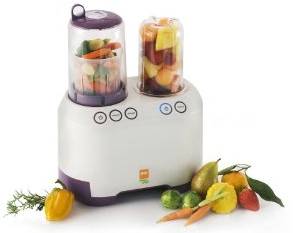 This is the original baby food maker, and a winner of the 2008 JPMA Innovation Award. Beaba has a great demo and video on how the appliance works. Steam cooks fresh fruits and vegetables in less than 15 minutes. Steaming preserves more vitamins and nutrients than other methods, and soften foods for blending into spoonable baby food. 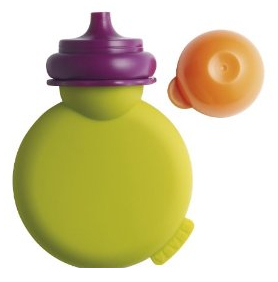 Warms bottles or baby food in a special compartment on the top. 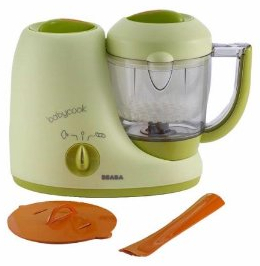 The Beaba Baby food grinder comes with a mixing bowl and cooking basket. You’ll want to invest in some good storage containers as well, to save and freeze/refrigerate all of that delicious baby food! In most sessions, you’ll make a lot of food at once. The year after my daughter was born, we went to a a farmer’s market and got a HUGE winter squash (it was probably 2 feet long). Steaming and blending all of that squash was no easy task, but it made a lovely orange puree and our daughter just loved it. We didn’t feed it to her at every meal, obviously, but it lasted all winter long. Hermetically sealing lids ensure an airtight closure to preserve all that fresh, healthy goodness. Safe to use in the freezer and microwave, wash in the dishwasher, and reheat food in the Babycook. 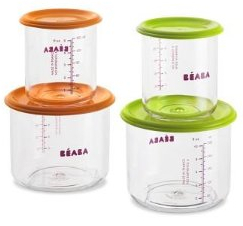 Two each of 5-ounce and 10-ounce capacity containers with measuring lines on the side. Lets them feed themselves, as easily as drinking a bottle! The most highly reviewed baby food grinder on Amazon is the Baby Chef Ultimate Baby Food Maker by Kidsline. This compact maker has a unique side-by-side design: generous steamer basket on the left that can also be used to warm or reheat food, and a grinder on the right that can chop, blend, or puree fresh fruits and vegetables for your little one. I like the design of the 4-point grinder blade, whose raised angle points ensure a smooth and consistent result. It comes with a storage bowl and airtight lid for storage of food that you’ve made, or to take a meal on the go. BPA-free materials can be washed with soap and water. 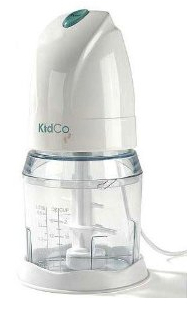 The Kidco Babysteps food mill is your basic baby food grinder – a compact, handy appliance that blends fruits and vegetables into healthy baby food. It comes with a two-cup bowl and is completely dishwasher safe (except for the motor housing). The three pieces are easy to disassemble without complicated steps or referring to the instruction manual. This is a no-frills electric grinder that’s inexpensive and has some of the best reviews on Amazon. It’s well-made and compact, two important features for the crowded, often accident-prone kitchens of new parents. Two-cup blending bowl with non-skid bottom. Includes a blending attachment for more thorough mixing. 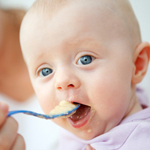 6 tips for starting solid food has some advice for success when your little one is ready to bite! 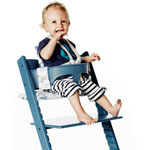 The Tripp Trapp chair is an amazing Swedish-made ergonomic chair for infants and children. 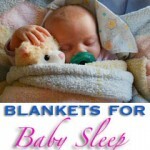 Learn about when to give baby cereal and get some tips on using it to help with nighttime sleep. 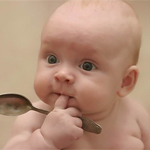 You can save a LOT by shopping around online: just read our formula & baby food reviews.